Your privacy is at risk like it has never been before, yet most folks think they have no need for concern and that only guilty criminals need be concerned. Your Privacy at Risk documents the unprecedented attacks on personal freedom being perpetrated by corporations and governments worldwide. Profit and political control are the motives but this practice threaten our way of life. This page contains information that will help you protect and restore your privacy. Choose your browser to provide optimum privacy. Turn on Do Not Track in your browser. Use encrypted (HTTPS) sites where possible. Use privacy plugins like Ghostery or Privacy Badger. Use a VPN service or TOR to protect your privacy. Everyone that asks you to fill out a form — whether a paper form or on-line — is collecting personal data. Once you provide that information, it is no longer in your control. While everyone is diligent in collecting your information, they are less careful in protecting that information — particularly if an opportunity to profit comes along. Be selective in the information you provide. Avoid giving it away without thinking about the potential consequences first. Does this site need the requested information to supply what I need? How will they use that information? Will they share (sell) that information with others? How will they protect my personal information? If they fail to protect it, what are the consequences for me? For them? Providing data that enables a company to better sell you what you don't need in exchange for a newsletter or a free document can be a very poor bargain (at least for you). Does This Site NEED My Information? If you are ordering a product, the company will need your shipping address and payment information. However, you have choices in how that is accomplished. For example, by using PayPal the seller won't have your credit card information. Many sites and online games offer the option to create a unique log-in identity or use your Facebook or Google profile. Logging into a third-party site with Facebook ID provides that third-party site to your Facebook profile, including your Facebook friends, likes, dislikes, political views and more. Generating a unique account with its own password provides that same company only with your name and email address. Which do you think protects your privacy more (hint, Facebook doesn't believe in privacy unless you want to know what Mark Zuckerberg is doing). Depending upon the site, you should be very selective in providing information. For example, sites don't need your birth date, only to know if you're old enough to enter into a binding legal agreement. Yet many sites choose the birth date because that provides them with much more precise information about you. Using your photo for a profile picture or avatar may personalize your experience, but facial recognition software can relate the information to data found on other sites with the same photo — and it can return false results. Combining seemingly innocuous information with trackable information (your IP address, email address, etc.) can create a profile that can be used to direct advertisements or to sell to information brokers. Will They Share With Others? Unless specifically stated, you have to assume that they will share your information with others if it is profitable. If the company is sold or if they receive a government warrant, the new company is not bound by any promises made to you. Big tech has been on a buying spree. While they're acquiring technology, they're also adding to their ability to profile their site visitors. How Will They Protect My Information? Most companies spend much more protecting their own information than protecting yours. Remember, most of the security breaches only affect consumer data, not corporate data. After all, you gave it them for free! Governments could enforce protection with significant penalties, yet choose not to do so. You need to check this policy from time-to-time as privacy policies change for a number of reasons including purchase of the company or a new business plan (such as the changes at Microsoft that resulted in Windows 10). That's the equivalent of between approximately 4.5 and 7.6 work-weeks (about a month or two every year) — just reading privacy statements! You only need to look at the way Facebook, Hotmail and others so quickly changed their privacy policies to enhance their profitability. You're on your own when it comes to protecting your identity. Governments legislation is needed to create and enforce a standard by which consumers are protected and given an even chance against corporate giants. A central location for consumers to find out what information companies have collected about them, how it is being used and the ability to restore your privacy. EFF released Who Has Your Back? Censorship Edition 2018, documenting the track record for social media, communications and other companies in releasing private information to the government. The Apple App Store, Google Play Store, and YouTube scored the highest but Facebook and Instagram both failed to match the records of other social networks and tech companies. One of the reasons I recommend using Firefox as your primary browser is Mozilla's stand on privacy. The problem with our private data is that so much of it is irreplaceable and cannot be altered like a password. Once released into the world, there is no calling it back. Both people and companies need to be more cognizant of that fact and quit ignoring the risks of security breaches and personal posting on social media that compromise ourselves and others. Learn more about Fix It Already in this launch article: Fix it already: Nine steps that companies should take to protect you. Do You Protect Others' Privacy? Learn how to avoid giving information away (including protecting other people's email addresses). Your life, under constant surveillance. Surveillance as a business model. Check your progress in improving your privacy awareness and changing habits by taking the Mozilla privacy survey. There is more information about privacy on this page and on related pages on this site. Test your computer and devices for malware (software on your computer that reveals information about your surfing habits — including toolbars). 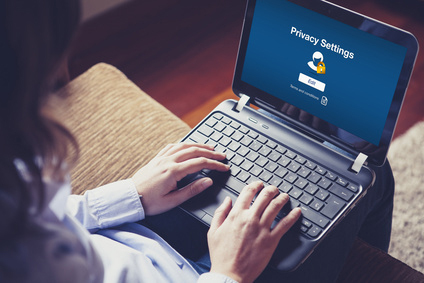 Check your privacy settings and improve privacy practices. Online security 101: Tips for protecting your privacy from hackers and spies (2017). Social media is a very important aspect of privacy because so much personal information is collected including facial recognition software, comparative and linked data (such as the "Like" button) as well as the content and nature of our everyday posts. Are you sharing too much? The ultimate online privacy guide. The Register's guide to protecting your data when visiting the US. You're (mostly) screwed without preparation. The Motherboard guide to not getting hacked. *Privacy not Included is Mozilla's guide to choosing connected devices like Google Home and Amazon Alexa. How to keep your private conversations private for real. Edward Snowden: Here's how we take back the Internet (YouTube video from TED). 7 Ways to Reclaim Your Digital Privacy. Online Privacy: How to Minimize Your Digital Footprint. How to ditch Google for more privacy and fewer ads. HTTPS Everywhere encrypts your communications with many major websites, making your browsing more secure. Gibson Research Corporation projects include Securable, Fingerprints, Perfect Passwords and ShieldsUP! in Steve Gibson's goal to protect privacy. More ways to win against mass surveillance. Current browsers have the capability of telling a site that you don't want to be tracked. But that assumes that a site will bother to respond. There are few, if any, such mechanisms in place. Do Not Track is a browser setting where the user can indicate that they don't want to be tracked. However, without a consensus about how to interpret DNT, most sites ignore the setting. Hopefully, when there is a universally-accepted standard in place, all websites will honour them. Even when Do Not Track is enabled, some facilities also track store visitors via their cell phone using Mobile Location Analytics. Panopticlick is an online test that analyzes how well your browser and extensions protect you against online tracking techniques, even if you are using privacy-protective software. Another option is to use the services of a site such as the Network Advertising Initiative which offers to place an opt-out cookie on your computer for certain ad servers such as DoubleClick. People have become more aware of the amount of information that is collected about them while they are on the Internet using such devices as cookies. You can deal with cookies using some of the many utilities available on the Net or by using the tools provided by modern browsers (Firefox recommended). Many sites use flash cookies (Local Shared Objects or LSOs) that are not deleted when you remove traditional cookies. Adobe provides information on how to manage or disable LSOs, but ignorance makes most users vulnerable to exploitation by sites that use them. CCleaner is capable of cleaning LSOs, but this is not enabled by default. Flash is listed as one of three programs that make Windows vulnerable to malware (as well as Linux and Mac if Flash is installed). As technology moves away from Flash, the risk of LSOs should diminish. Flash is often used to display ads that can be tracked from site-to-site. Using click-to-play you can enable Flash only when it is required (which is how current versions of Firefox handles Flash). Have a look at my listing of Firefox extensions. Some allow you to manage or remove LSOs but status can change quickly so I won't duplicate the listing here. The browser you use to surf the Web will make a different in not only what tools are available to you or how convenient the browser is, but also in terms of how much information you share in the process and what those gathering that information do with it. The settings and what programs that browser defaults to also make a difference. Simply using a search engine can leave behind a history that can last for years. StartPage protects your privacy. Firefox is my recommendation. Not only is it more secure, but it more closely follows web standards, making your experience a better one. You should clear your privacy data (cookies, saved form information, cache and authenticated sessions) before and after on-line banking (or similar sites where there is the risk of revealing personal information of greater value). Firefox 29 or newer: the Firefox menu is on the top right (3 horizontal lines). Firefox 4–28: the orange Firefox button on the left contains the Options menu.. The Firefox Menu Bar (turned off by default starting with Firefox 4) has Options in the Tools menu. Once the Options dialogue box appears, click on the Privacy tab and check Clear history when Firefox closes. You can choose which items get removed by clicking the Settings button on the right (see dialogue box above). Apple just announced significant changes to fight ad-tracking and digital fingerprinting at WWDC 2018. The newest version of Apple's Safari browser will push back hard against the ad-tracking methods and device fingerprinting techniques that marketers and data brokers use to monitor web users as they browse. Starting with Facebook. Internet Explorer (IE) is a major security vulnerability within Windows and therefore should not be used as your primary browser when surfing the Internet. When the CVE-2014-1776 vulnerability affected IE versions 6–11 the US-CERT team (U.S. Homeland Security) recommended moving to an alternate browser. This is good advice even after the vulnerability is patched. See the alternatives. Current versions of IE can check sites for forgeries (sites looking to exploit your trust of the real site) if you authorize it during installation. Check "Prevent programs from suggesting changes to my default search provider" in IE's extensions. Security risks are not unique to Internet Explorer but its reach is deep into the Windows operating system, making it more vulnerable to security issues than any other browser. Microsoft's Windows Update plug-in for Firefox as an alternative to using Internet Explorer is not recommended because this makes Firefox more vulnerable. It is better to use Internet Explorer only where necessary (and safe). Move to Firefox and launch Internet Explorer ONLY where it is absolutely necessary. If a normal page won't load properly except in IE, you're probably better off going elsewhere for your information. Google Chrome (initially based upon the open source Mozilla code) has become very popular partly because it is much smaller and potentially faster than other browsers (at least as long as you don't use extensions). This “extra” speed is a rapidly changing dynamic between browsers. It got that way also by surreptitiously installing itself as the default browser as a paid add-on to other free software such as CCleaner, Java and Adobe Flash. While it was an “optional” addon, it was pre-selected and folks simply clicked through the options without checking for extra software. Google now controls a significant majority of both Web searches and browser installations — a monopoly on access to content on the Web. Companies like Google have become more powerful, purchasing existing companies with expertise in areas they traditionally didn't have access, then combined their users' data from all their companies with their powerful search profiles. Chrome does this, in part, by keeping the user's data on their servers rather than on the user's computer. People have access to their data from any number of computers, phones and tablets. This is convenient but eliminates your ability to fully control your own information. Google uses this information to serve more appealing ads based upon what you've viewed with Chrome. So many people have moved to using “free” cloud-based webmail programs that the market has virtually collapsed for independent stand-alone email programs. Running Google's free Gmail while surfing the Web (especially while using the Chrome browser) will provide even more information about yourself, helping to create a more accurate profile to serve ads to. Google never forgets! The biggest issue is privacy. Services like Gmail, Yahoo! Mail and Outlook.com (formerly Hotmail) can sift through your emails to build a profile on you to sell advertising. Even if they state they don't that policy can change in a heartbeat. However, the Yahoo! data breach should tell you that your privacy is NOT a priority. Not only did they lose enough information to commit identity theft using the stolen data — “names, email addresses, telephone numbers, dates of birth, hashed passwords (the vast majority with bcrypt) and even security questions and answers” — but they took several years before telling anyone. Gmail has made it more difficult to simply download your Gmail to a standalone email client (an email program that stores your messages on your computer rather than on Google's servers). Google wants you to leave a browser window open with Gmail running. By knowing the sites you're visiting they can present “more relevant” ads (i.e. ads that you're more likely to click on based upon your surfing history). Of course, if you're running Chrome, they already know this. How to safely delete your Google or Gmail account for good. A Virtual Private Network, or VPN, is often used by businesses to secure their private network over a public network. How a VPN Works is a YouTube video by PC Magazine that illustrates how a VPN works. For most users this will mean securing your access over the Internet using a private VPN service so that your communications are encrypted. Be careful in how you select your VPN. There are lots of VPN services. Cheap or free VPNs have to make money somehow and might be doing so by selling your private data or worse. Paid VPNs are no guarantee of privacy, but their fees provide the means to pay for the service. If your VPN retains ANY information about you online activity, that data is subject to being sold or released to governments issuing a court order. Given the current low threshold for such warrants, your only protection is a VPN that doesn't retain such information. These resources will help you choose what is right for you. What the heck is a VPN? — OpenMedia. What's the difference between a free and a paid VPN? Beginner's Guide to VPN Terms. How to choose the best VPN service for your needs. VPN Geeks answers a lot of basic questions about VPNs and reviews various options. How to build your own VPN if you're (rightfully) wary of commercial options. These reviews should help you to select a suitable provider. Keep in mind Privacy.net's warnings about VPN reviews. Top VPN Canada VPN Reviews. Best VPN services for Canada. See: Everything you should know about VPN in Canada. Top 10 Best VPNs for Canada. The best VPN services: reviews & in-depth comparisons. The best VPN services — CNET. The best paid VPN for Windows — CNET. Five best VPN service providers. Best VPN services reviews & comparison. the use of instant-on videos on websites to add sound and video to draw you in. A simple check on what you're friends or family are doing can turn into a three-hour Facebook bing. Playing a game for a “five-minute break” and suddenly an hour has gone by. We need to restore balance to our lives by reducing our exposure to these techniques. While profitable to the corporate bottom line, they are increasingly making us feel more isolated. Take control of your phone. Don't let your apps control your phone use, change settings to remove the distractions. iOS 12 includes a Screen Time tool (swipe right to see it) that allows you to control activity. Edit what appears on your screen. Do you really need real-time weather, news, stocks, etc.? Do you need all those apps? If you plan to take your digital devices across the border, check out BCCLA Electronic devices privacy handbook: A guide to your rights at the border. Can Canadian border agents search your phone or laptop? A new guide explains references the BCCLA privacy guide linked above. Can U.S. border guards search your phone? Yes, and here's how. Border guards have 'wide open' rights to search your smartphone, B.C. civil liberties group warns. Note that “border” searches can be conducted not only at the actual border, but within 100 miles (160 km) of the U.S.-Canada border. One year after Snowden revealed just how much governments were collecting, Reset the Net launched splash screens like the one below. Mass surveillance is illegitimate. I'm taking steps to take my freedoms back and I expect governments and corporations to follow in my footsteps and take steps to stop all mass government surveillance. While the June 5, 2014 date is far in the past, it is even more important that we follow advice to end surveillance and the collection of big data. Rather than discovering and repairing weaknesses in Internet security, governments are exploiting them to spy on the entire world, twisting the Internet into something it was never meant to be: a panopticon. I urge you to take the initiative to follow the recommendations (and those elsewhere on this page) to restore your privacy. Start using effective privacy tools and be sure that you're not installing software that is unsafe to use. When websites complain about your use of these technologies, remember that they were the ones to install invasive techniques — a practice that is paying them diminishing returns even if no one uses protective measures against them. If you're using social media and “free” apps, you need to take a closer look at the real cost of using them and to start cleaning up your activities that are being tracked. See my recommended software choices. Use a browser that protects your privacy rather than collecting more information about you. I strongly recommend Mozilla Firefox along with privacy extensions such as Ghostery or Privacy Badger plus HTTPS:// Everywhere. 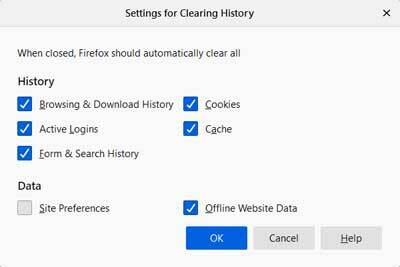 When you're done, use CCleaner to remove tracking cookies and other debris left behind and to control the startup of applications. Take care when posting on social media, especially Facebook. Delete accounts you're no longer actively using and frequently check privacy settings for the others. See How to delete Google from your life (video). Be aware of how much information you provide if you're using Google Search and Bing. Instead, use search engines that protect your privacy such as StartPage or DuckDuckGo. Don't log into sites with your social media accounts. Always create a unique account with a secure password for sites you need to log into. LastPass will store all your passwords securely and generate passwords for you. Firefox Send provides a secure and private alternative to other file sharing methods. 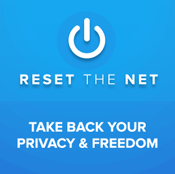 See the recommendations on the Reset the Net Privacy Pack. Website owners should begin to use technologies that secure their sites and make them safer to use. Avoid invasive (a.k.a. sleazy) techniques. These not only place your site visitors at risk, but your site's security. Pledge to add SSL, HSTS & PFS protection this year; it matters! Already rocking SSL & HSTS? Consider approaches to end-to-end crypto. There have been too many cases of apps collecting information they didn't need (often surreptitiously) and selling it. Not only should these apps be banned, but so should the developers that released them. Some developers released their app without securing it properly Whether it was intentionally or out of ignorance those developers' products should not be in the app store. Technologies like SSL and proper certification pinning should be mandatory. End-to-end encryption makes messaging much safer and your app a worthwhile download. Ensure this content acts nicely within your app. Too often the ads do more than briefly interrupt the app content by crashing the app or locking it up for extended periods of time. If you offer a paid version lacking ads, people will judge your app based upon its performance as a free app.